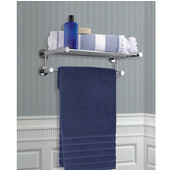 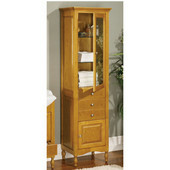 Empire gives you extra storage space in your bathroom with these tall curio cabinets. 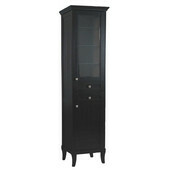 Beautiful and practical, the curio cabinets look great with any décor. 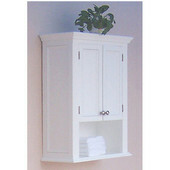 The Malibu Collection cabinet is 78” high and has two doors and two drawers. 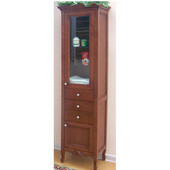 The top part of the cabinet features three glass shelves and a beveled glass door, and the bottom has a cabinet with a wood door. 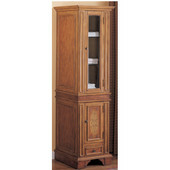 The Newport Collection curio cabinet is 63” high and has two glass shelves visible through the glass door and sides. 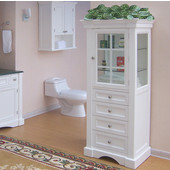 Four drawers provide additional storage. 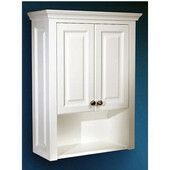 Top and bottom crown moldings add a decorative accent. 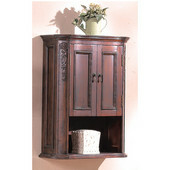 Both of the curio cabinets are made of solid wood and come in a White or Cinnamon finish. 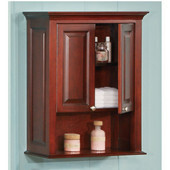 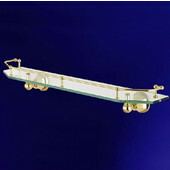 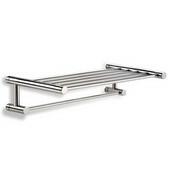 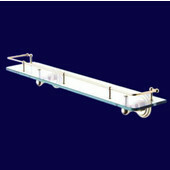 Matching vanities, mirrors and medicine cabinets are also available.